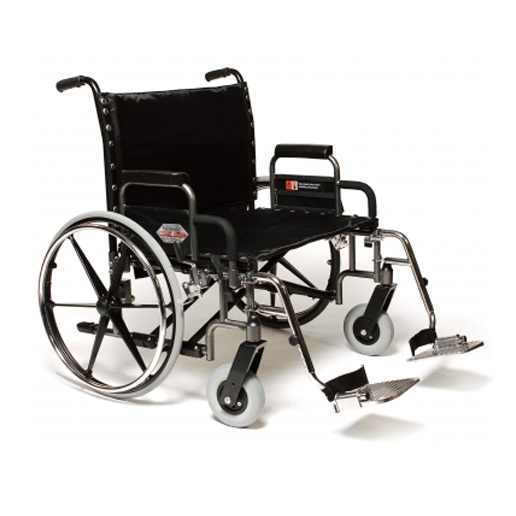 Everest & Jennings Paramount XD heavy duty wheelchair features 26" and 30" seat widths with a weight capacity up to 650 lbs. 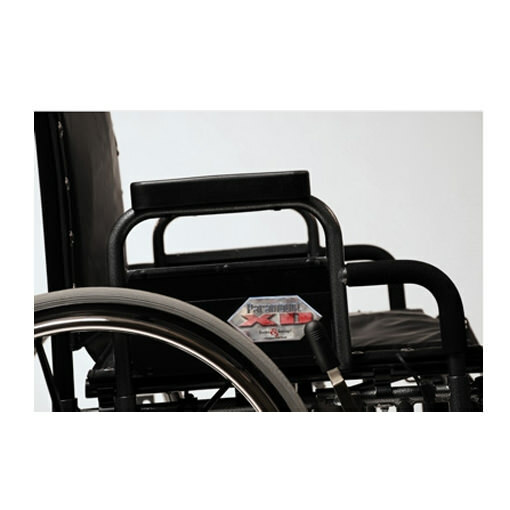 Paramount XD wheelchair is ideal for bariatric users who needs a truly heavy duty wheelchair. 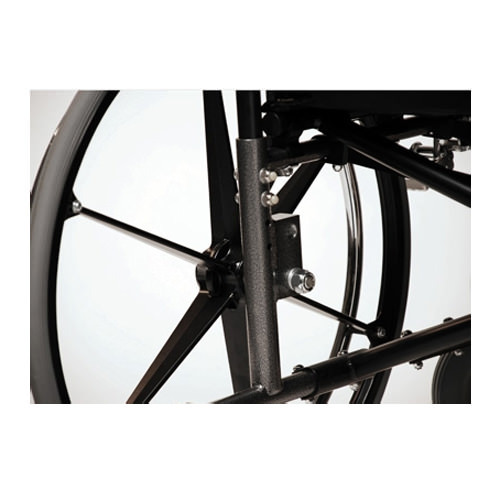 Paramount wheelchair comes with two position axle and caster fork that provides 2" seat height adjustment. 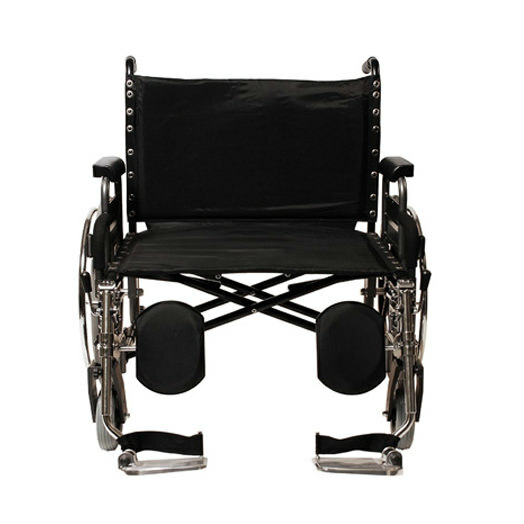 It features adjustable swingaway footrest or elevating legrest with extra wide metallic footplate. 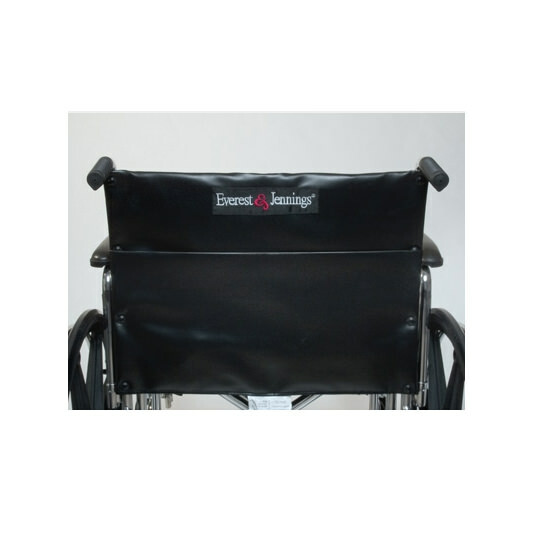 Paramount wheelchair has standard chart pocket on back upholstery.